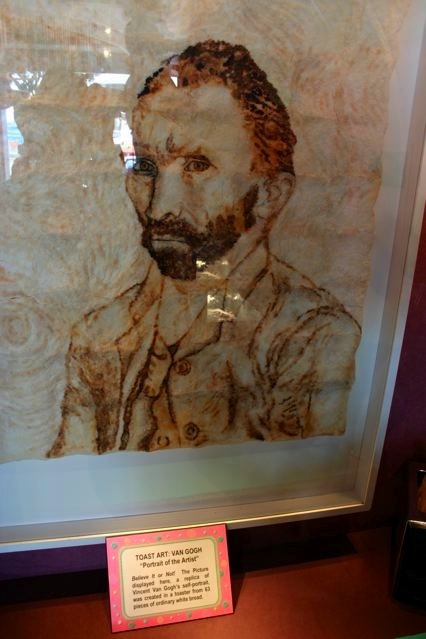 Winner of 'Toast Art' 1985! The 'Toast Art' competition is sponsored by The Toast Marketing Board to further promote the arts. The winning entry for 1985 is Mr and Mrs Brian Pule's 'Mona Lisa' Toast painting, reproduced below. Mr and Mra Pules spent six weeks on the 8' by 4' picture using Goliath sliced super-white bread and a blowlamp. The winning picture can now be seen hanging at the Toast-Sponsored Museum of Toast and will be displayed at the Les arte Moderne de Swindon exhibition in a week's time. 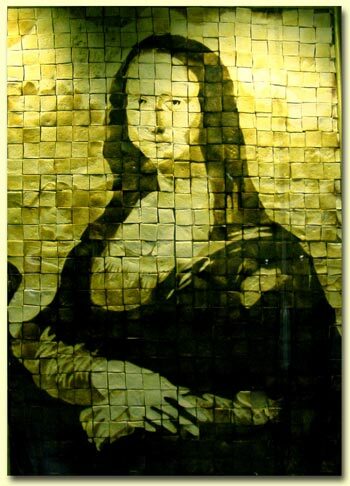 Mona Lisa in Toast - Pules, 1985, mixed media, mostly bread. Click on an icon below to further explore the site.